Be A Celebrity On The Field And Online! Traditionally, fans and followers only had a chance to interact with your mascot during public appearances, but that has all changed with the tremendous growth and popularity of social media platforms like Facebook, Twitter and Pinterest. When a mascot is given a voice through social media, social engagement increases both on and off the field. 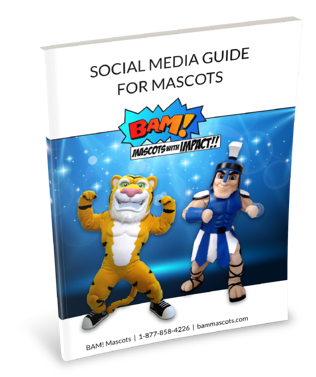 Find out how social media can help you boost your mascot's marketing efforts. Download our Guide! Fill out the form and we'll email you a copy right away!